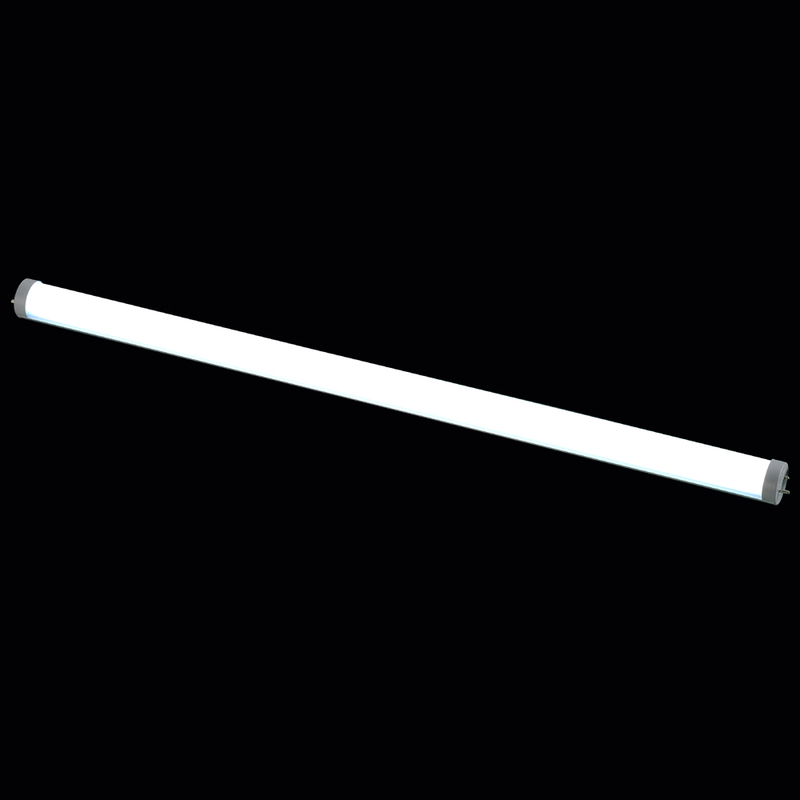 5.Using traditional fluorescent tube standard interface. 1.Aluminum heat-sink base can dissipate more heat and lead to a longer life span. 2.Using new SMD packing process.Beam angle can reach 220°. 3.Using indirect radiator, highly insulation, prevent causing labor safety events. 4.After turn on the lights,start in 0 second.No waiting time. 5.The product uses the same tube standard as that of traditional fluorescent tube, so that it can support original traditional lantern set. 6.It can be used with or without ballast. All won't effect the product. 7.The product saves energy by70％~75％ because of starting under little current and low voltage.